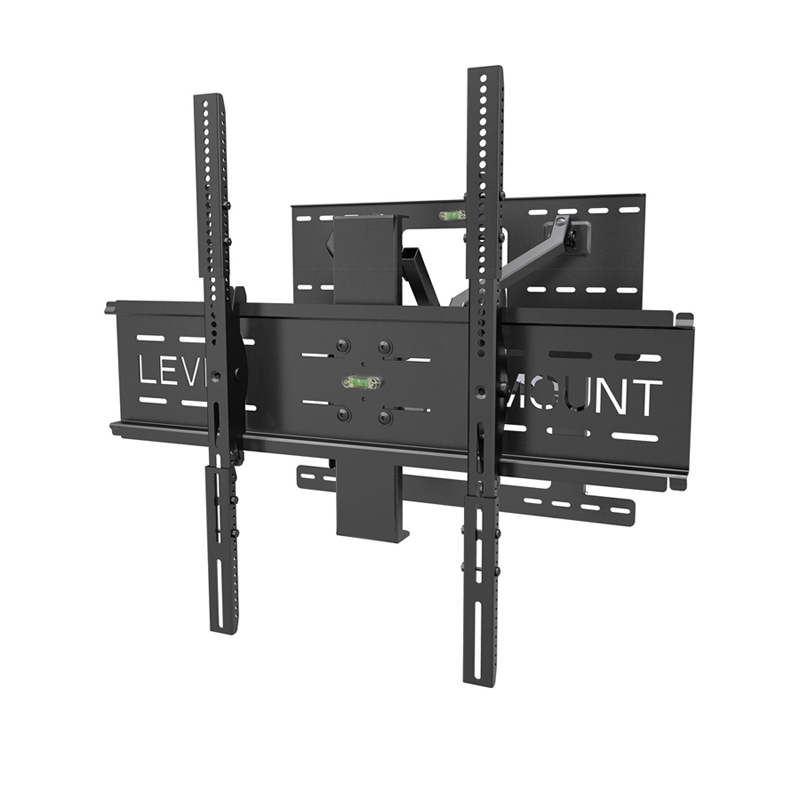 More on the LEVEL MOUNT Deluxe Cantilever Wall Mount for 37-85 inch Screens DC65DMC below. Easy to use and install, the Level Mount DC65DMC is designed to fit any 37-85" Flat Panel TV up to 150 lbs. This unit has an advanced adjustment mechanism. It pans up to 30°; extends up to 17", tilts up to 15° and swivels to position the screen for an optimal viewing experience. Everything needed for mounting is included in the box: A built in bubble level, extension arms and mounting hardware. $20 value for FREE! Level Mount offers a Limited Lifetime Warranty and a $5000 Limited Protection Plan. Swivel, Pan 30°, Tilt 15° and Extend 17"